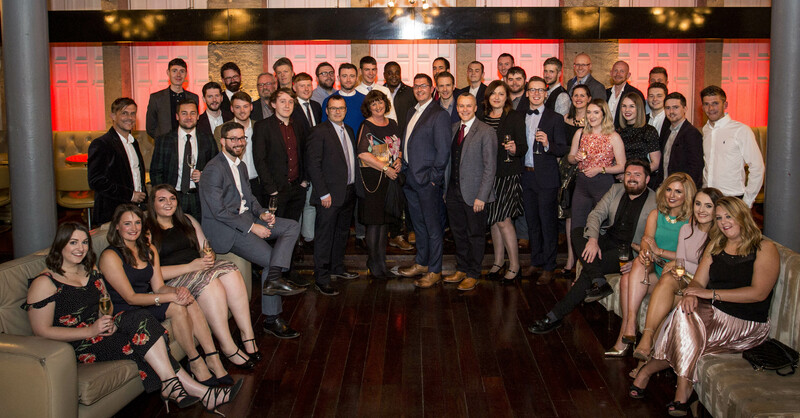 Last Friday MAST celebrated its 40-year anniversary as a company with a party held at 29, Glasgow. Colleagues, past and present, joined guests for an evening that included drinks, food, music and Lego cake! The night gave people an opportunity to reminisce about ‘the good old days’ as the History of MAST video ran in the background, highlighting projects, social functions and office trips from 40 years ago, to present day, showing some of the old faces as well as the new ones. MAST co-founder Mike Thornley gave a speech and an insight into how far the company has come over the 40-year period, with current Director, Michael Jarvis, adding further thanks to all involved over that time. Director Mark Johnstone added ‘the night was a great success and everyone seemed to really enjoy themselves. It’s a fantastic milestone for the company and we are all delighted to have been part of that. The challenge now is to provide a platform to facilitate recent growth and future success’.